IVF costs add up quickly. Just one cycle can cost anywhere from $10,000 up to $25,000, depending on what specific IVF technologies you need. One study found that the average couple spent $19,000 in out-of-pocket expenses IVF. For each additional cycle, their out-of-pocket expenses went up an average of $7,000. Considering that some couples may need up to three IVF cycles to get pregnant, plus the unfortunate fact that even high-tech IVF is no guarantee—it’s enough to make your head spin. How can you afford costs like these? Before you walk away from IVF, consider these seven tips for making the costs slightly more affordable. You may be eligible for at least partial coverage of the cost for infertility treatments. Most insurance companies are not interested in making this information clear. Don’t assume insurance won’t cover you. While most fertility doctors and clinics don’t take insurance, that shouldn’t keep you from applying for reimbursement yourself. Even if IVF itself isn’t covered, certain aspects of your treatment may be. For example, they may cover your ultrasounds or some of the blood work. Read your policy carefully—yes, even all that small print no one ever bothers to read. Pay close attention to any limits of coverage requirements, so you can do your best to meet their rules. Once you’ve read your policy all the way through, call the company directly to ask more questions. If they deny that infertility treatments are covered, but you read in your policy that they are—well, now you’re ready to argue. You may also want to consider contacting the HR department at your place of employment. There are disadvantages and advantages to letting your employer know that you are trying to get pregnant, so this is a route to go about with caution. However, your HR department may have information about your benefits that may help cover some of your IVF expenses. Health savings plans, or HSAs, are another way to set aside pre-taxed income for medical expenses. You may have one if you’re signed up for a high deductible insurance plan. One of the big differences between an FSA and an HSA is that funds put into an FSA can’t be carried over from year to year. If you don’t use the funds, you lose them. With an HSA, the funds do carry over. If you’ve been carrying funds over for awhile, you may have a good amount of cash to put towards IVF. There may be limits on what you kinds of medical treatments can be paid for with an FSA or HSA, but fertility treatments are usually included. Talk to your employer to find out more. Yes, you should look at more than success rates when choosing a fertility clinic. Ideally, you want a fertility clinic that can give you the treatment you need, at a cost you can afford. Don’t be afraid to call up other clinics and find out what they can offer you. It’s natural to feel loyal to the doctor you’ve seen so far, but you need to put your family’s financial health first. When comparing prices, be sure to ask clinics what is included and what’s not. One clinic may seem to have a higher fee for IVF, but if they are including the cost of ultrasounds and blood work, and the other isn’t, then you’re comparing apples to oranges. You can also try negotiating with a clinic. If you get a better price from another clinic, but prefer the more expensive one, you can ask the clinic you want if they will come down on the price. Another cost factor to consider is travel expenses. A clinic may have great prices, but the cost of traveling there and back, and lost time at work, can easily negate the advantages. Another option for reduced IVF treatment is to look into medical tourism. This is when you travel to another country for fertility treatment. You may think this would be more expensive, but you'd be surprised. It's possible to pay less to go abroad for IVF—even after you include plane tickets and hotel—than go down the street. Plus, you get a mini vacation during your stay. Researching a clinic abroad is going to be trickier. Also, if you're not careful, you could be scammed. Just because there is a website doesn't mean there is a real clinic behind it. You'll want to make phone calls, get references, and consider location (and clinics) cautiously. Fertility drugs make up a huge percentage of overall IVF costs. So it’s good to know you may be able to get discounts or better prices if you do a little research first. Purchasing your fertility drugs from a specialty pharmacy is an option. DesignRx® will help negotiate the best price for you, if you’re a member. Membership is free. Another way to save money on fertility drugs is to look into discount programs and mail-in-refund programs, offered by some pharmaceutical companies. EMD Serono—maker of Gonal-F—offers a few programs to help you save on fertility drug costs. Some programs are for self-pay patients, while others can be used along with insurance. Be sure to apply to the program before you need to purchase the medications. Ferring Reproductive Health—maker of Bravelle, Menopur, Endometrin, and Novarel—also has a discount program. Choosing a shared-risk or refund IVF program may help you recoup your costs, if treatments aren’t successful. This is basically how it works: you pay upfront for multiple IVF treatments, the average being three cycles, but they can be more or less than this. Then, the clinic or shared-risk program promises to refund all or part of the money if you do not have a successful IVF cycle within the number of cycles you paid for upfront. These programs frequently cost more per cycle than you’d pay without the refund guarantee, but knowing you’ll get the money back if things don’t work out can be comforting. Also, if treatments fail, you’ll also be able to take some of those funds to put towards an adoption or further treatments, if you want. You may want to consider applying for a fertility grant or scholarship. They rarely cover all the costs, and the application fees can be expensive, but it’s an option to consider. Fertility grants and scholarships are far from "free money." The qualifications for the grant may be quite strict, and since application fees can be high, consider carefully before you apply. Some will require you to be open with your IVF story, and may ask that you allow photography, video, or journalism stories written about you and your treatment. Not quite a grant or scholarship, some clinics will hold a raffle for a "free IVF cycle" if you come to an informational session. These free cycles also come with strings attached, like being willing to share your story publicly, so be sure you know what you're accepting if you are lucky enough to win one. No one likes to ask for cash. But if you can stomach it, you might want to consider crowdfunding. Crowdfunding—essentially getting funding from “the crowd”—can help you raise some or even all the money you need for IVF. It requires asking your friends, family, and co-workers for support. You've probably received crowdfunding requests from friends or at least seen crowdfunding campaigns shared on social media. Crowdfunding isn’t for everyone, and it does require that you already have a wide social network. Good marketing skills help, too. Some people assume it's easy—just create a GoFund me page and money magically flows towards you. Except it's not like that at all. If you're going to be successful at crowdfunding for IVF, it's going to mean hard work, a large circle of influence, and good storytelling skills. Just about every IVF patient needs to borrow some money to pay for treatments. Your borrowing options go beyond credit cards. 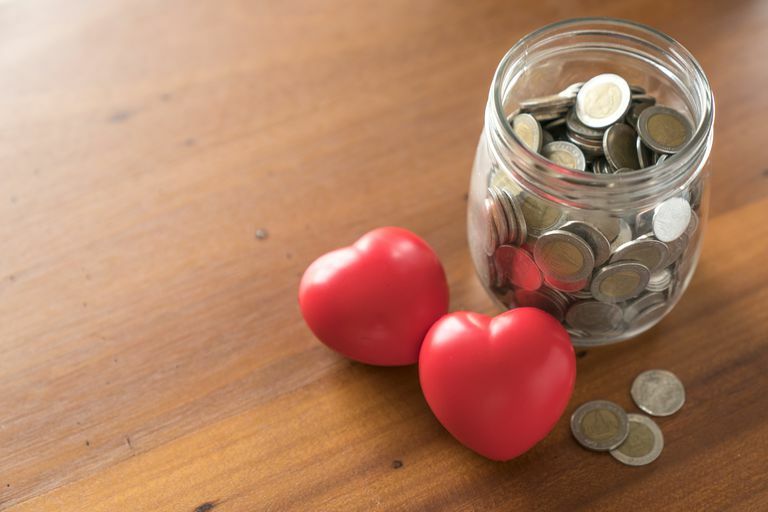 You may consider dipping into retirement funds, taking out a home equity loan, taking out a medical loan, or even asking mom or dad for the cash. Every option has its pros and cons, so consider carefully. Also be sure you have a pay-back plan for any cash you borrow. The last thing you want is to lose your car or your house just after you have a baby. Charlesworth, Liza. “The Couple's Guide To In Vitro Fertilization: Everything You Need To Know To Maximize Your Chances Of Success.” Da Capo Press; 1 edition (May 4, 2004).